Canvas doors and a color-matched shovel? Right on! 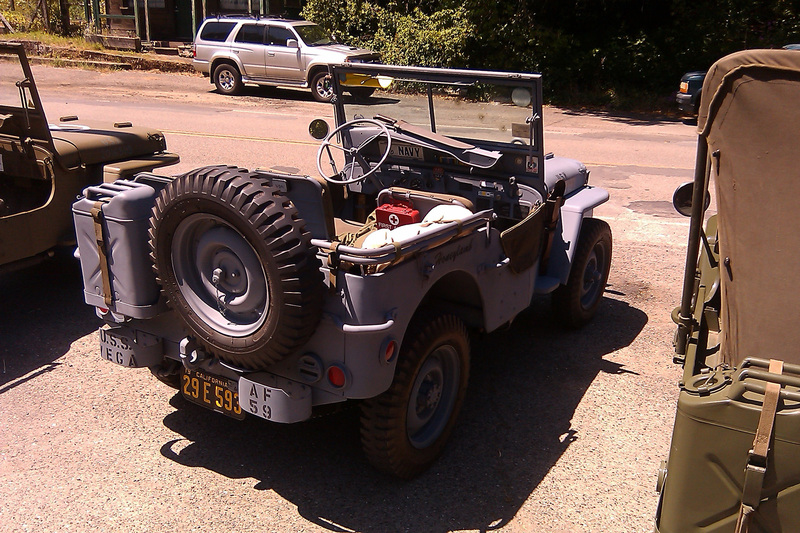 Driving through Cazadero today I was surprised to see the main street lined with late-40s to early-60s jeeps. This was something I didn’t want to miss, so I made a quick u-turn. It turned out that Willys America, a Willys Jeep restorer and parts supplier specializing in frame-off restorations, was having an open house. Sweet! 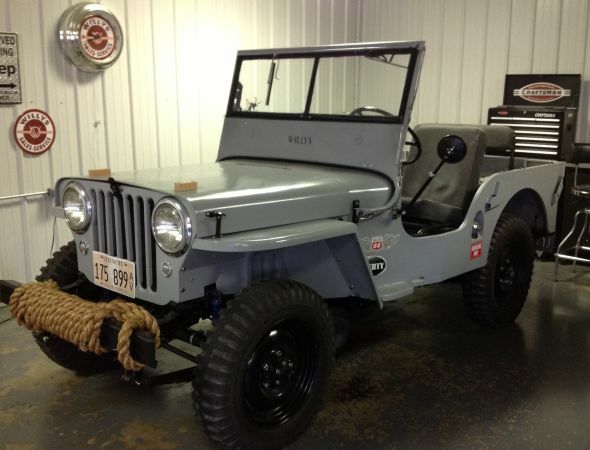 Check out their About Us page for an interview with the owner and their Restorations page for some nice photos of restored Willys of all stripes. 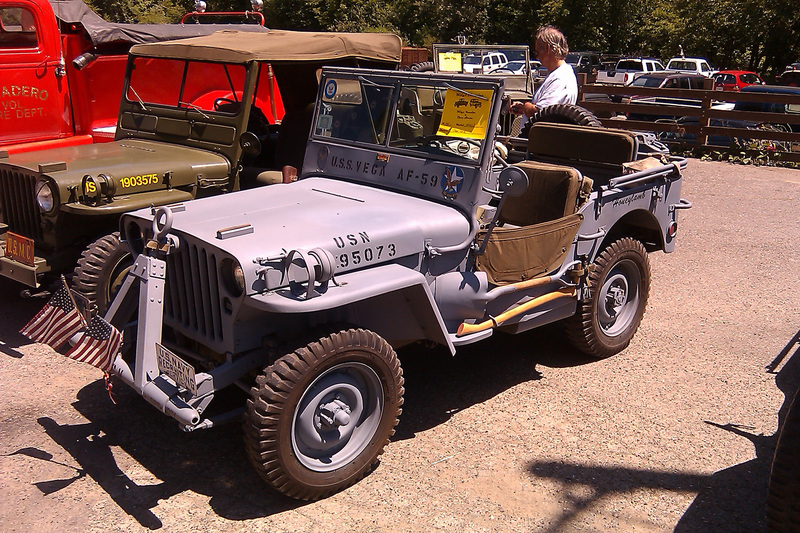 I really liked this Navy-spec jeep in flat grey.